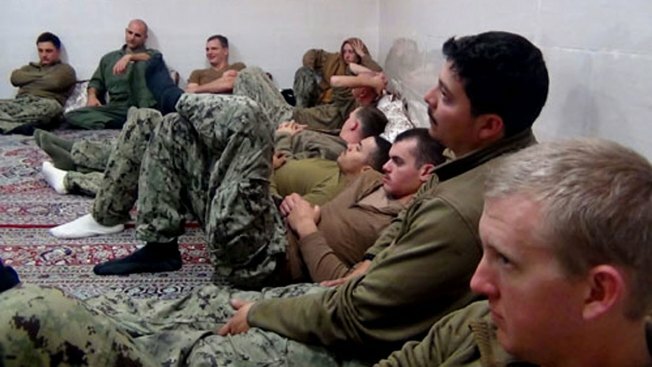 This picture released by the Iranian Revolutionary Guards on Wednesday, Jan. 13, 2016, shows detained American Navy sailors in an undisclosed location in Iran. Sen. John McCain wants President Barack Obama to release the findings of an investigation into the Iranian detention of 10 U.S. sailors and he said he's willing to subpoena the sailors if the information on what happened during the brief detention was not released. "It's an option that I do not want to exercise," McCain, R-Arizona, chairman of the Armed Services Committee, told reporters as he was returning to the United States from an international security conference in Germany. The sailors were detained by the Islamic Revolutionary Guard Corps after their two patrol boats strayed into Iranian waters on Jan. 12. U.S. officials later blamed a navigational problem.The Americans were soon freed but just what took place isn't known, NBC News reported.